Most people skip toner as they believe that skin is clean enough after cleansing, but most of the time, cleansing alone isn't sufficient. The purpose of toners is to clean off leftover grime and impurities that your daily cleanser failed to remove. It also helps to bring back the pH level to skin's naturally acidic pH level after cleansing, as most cleansers are alkaline. When choosing a toner for acne-prone skin, look out for ingredients like salicylic acid, tea tree oil or witch hazel, which will help to lift dead skin cells, remove excess sebum and reduce oil production. 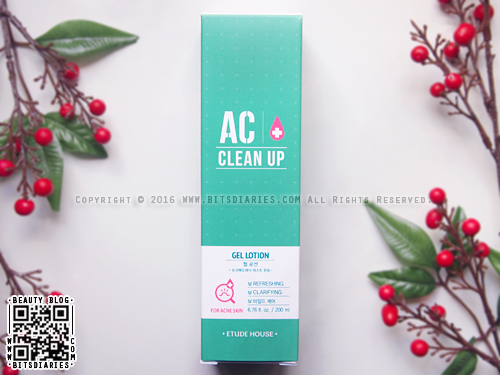 One of my recent favorite toners for acne-prone skin is the Etude House AC Clean Up Toner, which I will be doing a review today. 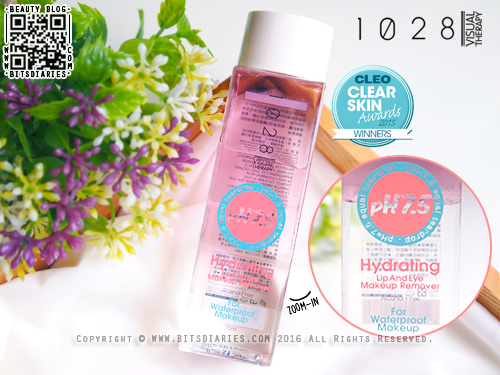 It is a revamped version of my all-time favorite toner, AC Clinic Daily Toner. 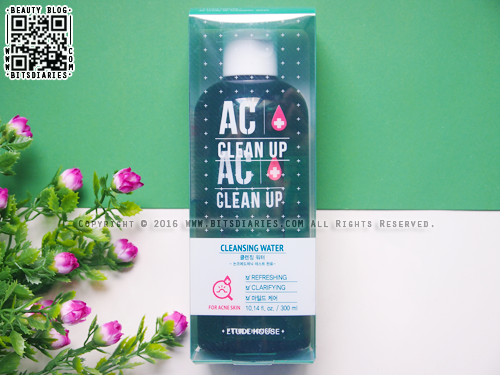 Formulated with salicylic acid, tea tree oil and madecassoside, Etude House AC Clean Up Toner moisturizes and soothes red, irritated acne skin. It is non-comedogenic tested. 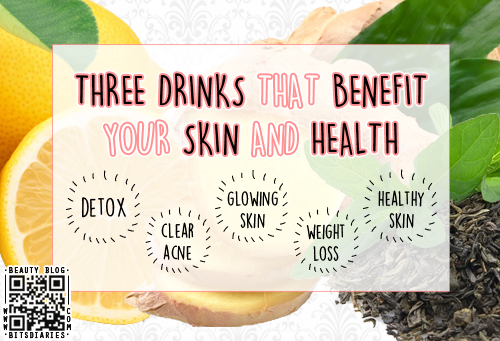 Pimples form when your pores are clogged, so make sure you cleanse your face well. 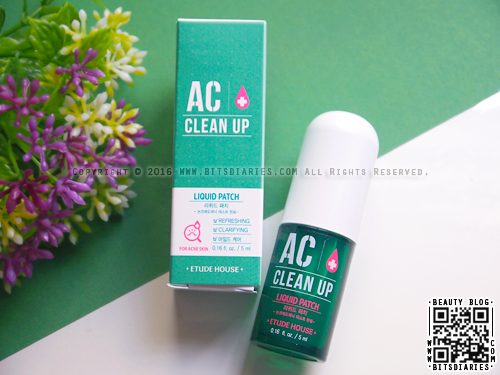 Today, I will be sharing my thoughts on Etude House AC Clean Up Daily Cleansing Foam, which is a revamped version of my all-time favorite facial cleanser, AC Clinic Daily Acne Foam Cleanser. 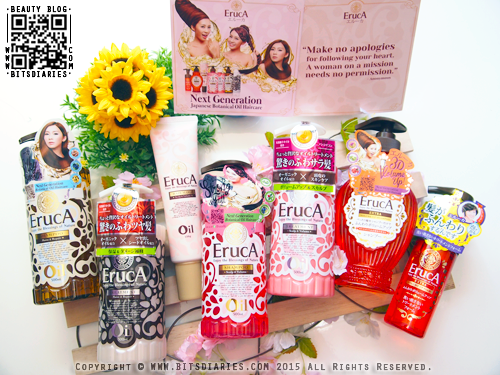 Without further ado, let's begin with the review! 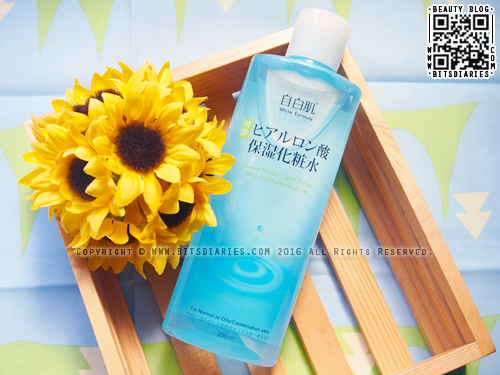 Formulated with salicylic acid, madecassoside and tea tree oil, Etude House AC Clean Up Daily Cleansing Foam fights against acne, soothes the skin and removes impurities without aggravating the skin. It is non-comedogenic tested. Makeup artists always emphasize the use of a good primer to create a flawless and even base before the application of foundation/bb cream. 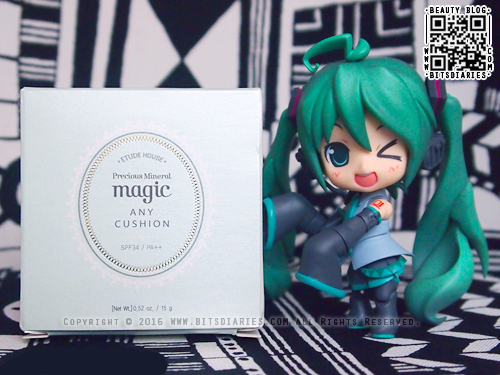 So today, I will be sharing my thoughts on Etude House Precious Mineral Magic Any Cushion, which is a 6-in-1 almighty color correcting primer that can be worn alone or under foundation/bb cream: Moisturizing + Whitening + Anti-Aging + Sunscreen (SPF 34 / PA++) + Foundation + Cooling. - Magic Pink smoothes out and brightens pale skin into a healthy and vibrant skin. 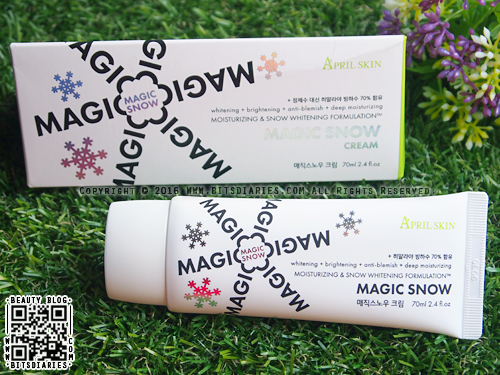 - Magic Mint covers blemishes and neutralizes redness for an even-looking complexion. - Magic Peach brightens dull complexion to make it appear even and refined. - Magic Lavender balances dull and yellowish skin into a natural bright complexion. I'm sure many of you have heard about this product over the years. Some of you may have tried it already. For those who haven't and are interested in Magic Mint, I hope my review provides you with the information you need. Let's begin with the review, shall we? 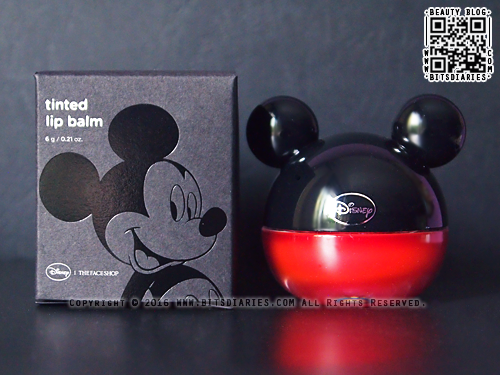 As I have acne-prone skin and lots of capillaries, I got it in Magic Mint, which is for redness. Ideal for acne-prone and easily irritated skin. 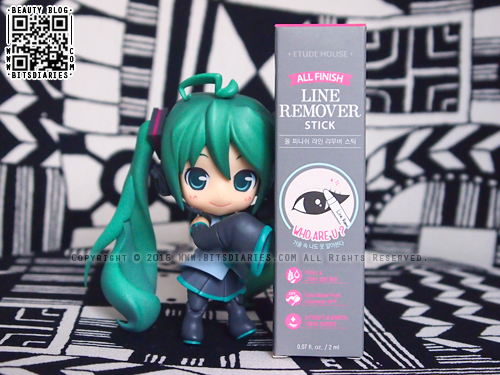 Today, I'll be doing a quick review on Etude House All Finish Line Remover Stick. 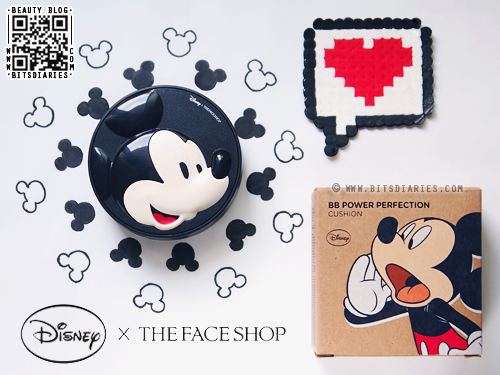 It's a portable eye makeup corrector stick that precisely corrects smudges, flaking or other makeup mistakes easily. It removes even waterproof makeup. 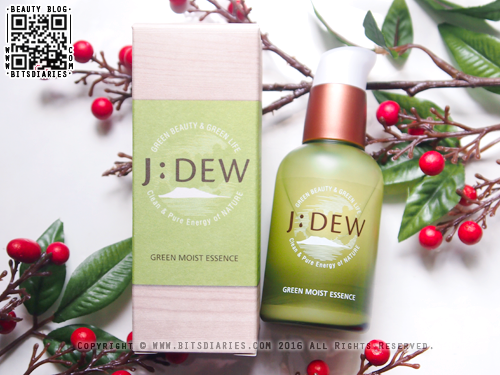 Infused with olive leaf, rosehip seed, rice and green tea extracts, it helps to moisturize skin and protect delicate areas around the eyes and mouth. 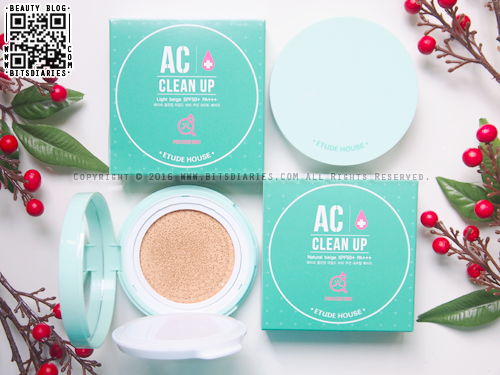 Etude House AC Clean Up Mild Concealer contains Salicylic Acid, Tea Tree Oil and Madecassoside that fight against acne, soothe blemished skin and conceal imperfections all at the same time. It is non-comedogenic. 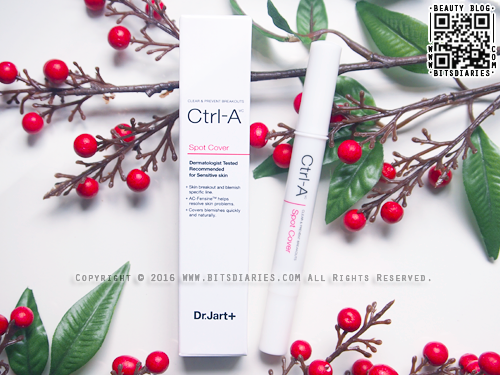 Dr. Jart+ Ctrl-A Spot Cover is a dual functioning concealer with whitening and anti-wrinkle properties specially designed for sensitive, acne-prone skin. 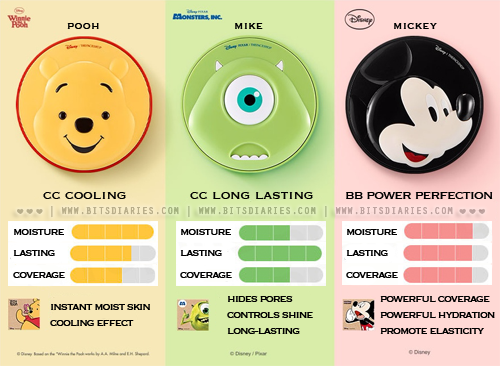 It soothes and protects skin while concealing imperfections. 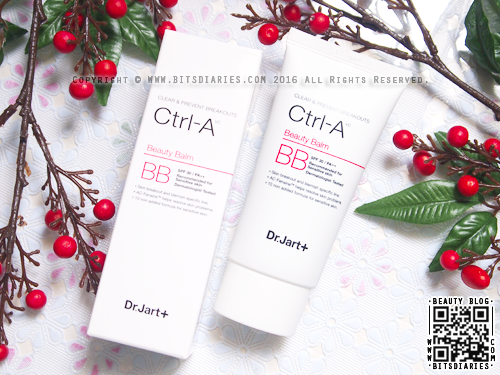 The main ingredient of Dr. Jart+ Ctrl-A line is AC-Fensine that kills acne bacteria and strengthens skin's immune system, thereby treating and preventing acne. 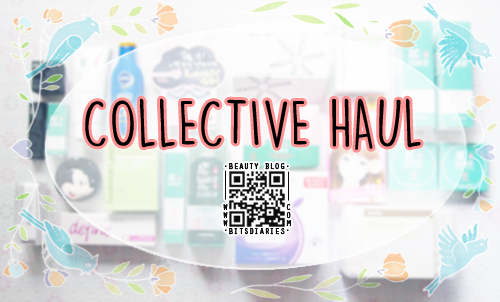 It is non-comedogenic and has a 10-FREE system — Free of talc, parabens, alcohol, pigment, phthalate, mineral oil, benzophenone, petroleum, triethanolamine and fragrance. 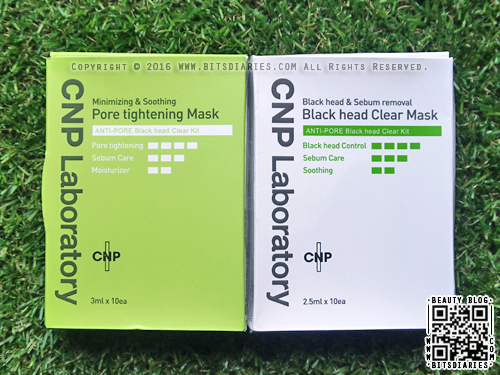 It is non-comedogenic, plus it has SPF 50+ PA+++ that provides skin with broad spectrum protection against harmful UV rays. P.S. I believe this is a revamped version of the long discontinued AC Clinic Sun BB. 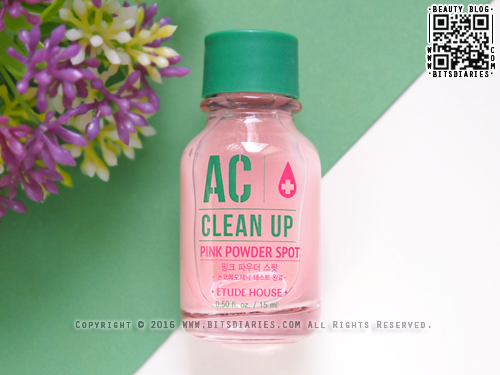 Etude House AC Clean Up Pink Powder Mask is a wash-off type mask that contains calamine and sulfur, which have antibacterial effects as well as helps to control sebum and remove dead skin cells. It also contains Kaolin clay which acts as a cleansing agent that draws out excess sebum and impurities from your pores. This mask not only helps to purify your pores and regulate sebum, it also soothes inflammation and provides moisture to keep your skin balanced (not overly dry or oily). 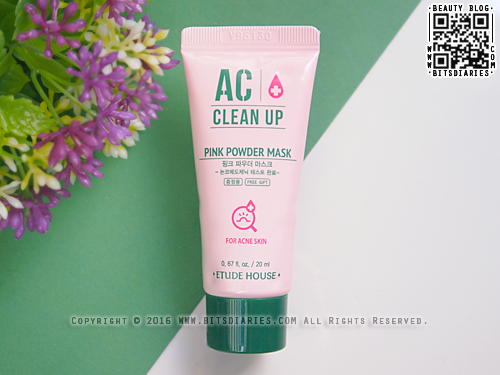 Fun Fact: This is a revamped version (new packaging + improved formula) of the long discontinued AC Clinic Pink Powder Clay Mask. 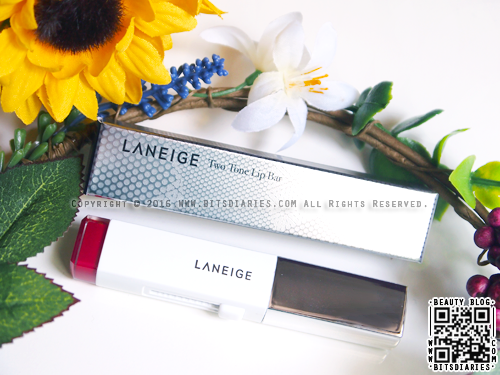 Today, I'm going to do a quick review on Laneige Two Tone Lip Bar. This product has been on the market for some time, and I'm sure some of you may have tried it already. Anyway, I'm going to share my thoughts on it. Hope it will be useful to those who have yet to try it and are interested in getting one. So, let's jump right into the review! Laneige Two Tone Lip Bar offers a combination of two colors in one lipstick for a perfect gradient lips. It is formulated with pure pigment technology to ensure a vivid color pay-off, and has a soft, moisturizing texture that glides onto the lips smoothly. Several months ago, I published a post about "Understanding The Types Of Acne". In today's post, I will be addressing acne scars. I'm going to simply explain what causes acne scars, the types of acne scars, as well as how you can treat and prevent them. Without any delay, let's get right into the topic. 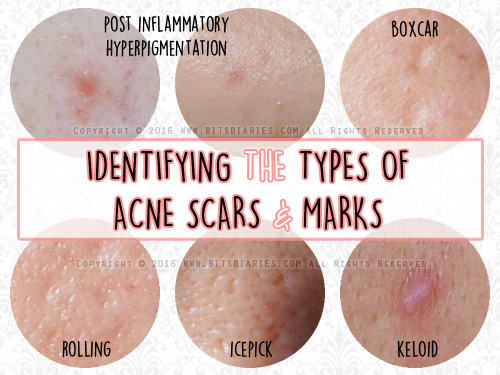 First, let's identify the types of acne scars. P.S. 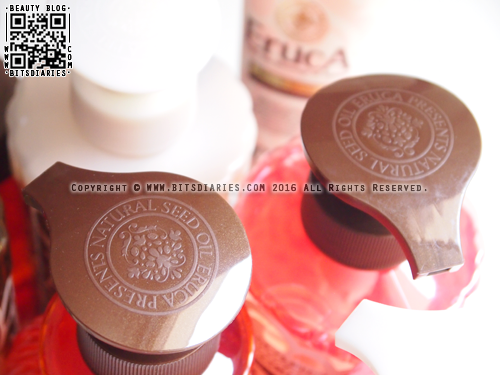 I would like to thank my bestie for providing her pitted scars pictures and allowing me to use them in my blog. Hello folks~! 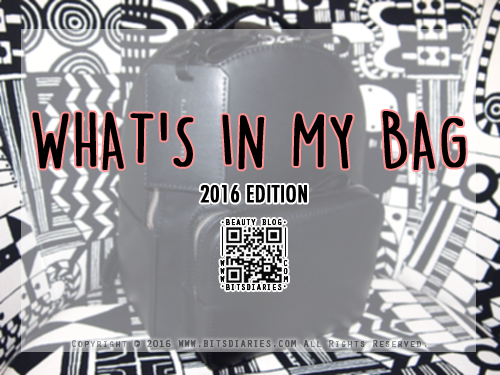 Today I'm sharing "What's In My Bag". Well, I did this last year and some of you requested for 2016 Edition. So here it is! Pimples usually appear on different parts of your face. 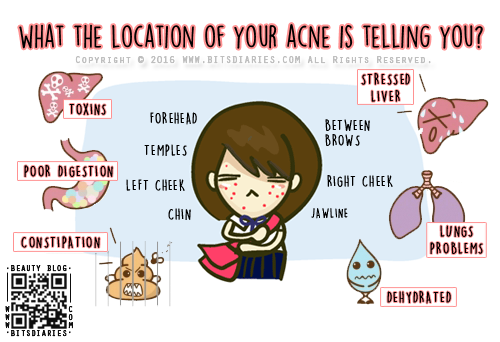 Do you know the location of your acne can be an indication of what's going on inside your body? According to Chinese Face Mapping, it actually reflects the health of different organ systems. Hands up if you're one of those who likes to pop pimples. I understand the feeling of satisfaction when you get all the pus out, but do you know popping zits can cause skin injury and may even lead to permanent scarring? If you didn't know, it's not too late to know it now. 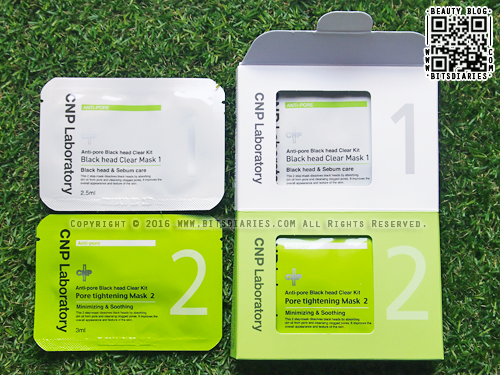 So instead of forcefully squeezing your pimples with your fingers, try 3M NEXCARE ACNE PATCH! 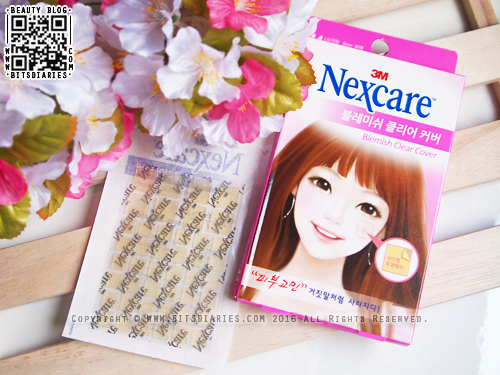 3M Nexcare Acne Patch is made of a special material called hydrocolloid that acts like a sponge to absorb the oily secretion, fluid or pus from pimple. The patch is waterproof yet breathable, and it acts as a layer of protection over the pimple to reduce hand contact and prevent infection. It comes in different packages ranging from 7 patches to 44 patches, as well as in different sizes. It is also available in various shapes — round, square, heart and star. Many of you already know that I am an acne sufferer and had been through really bad acne before. For those who are new to my blog, you can find out more by reading "My Acne Story". 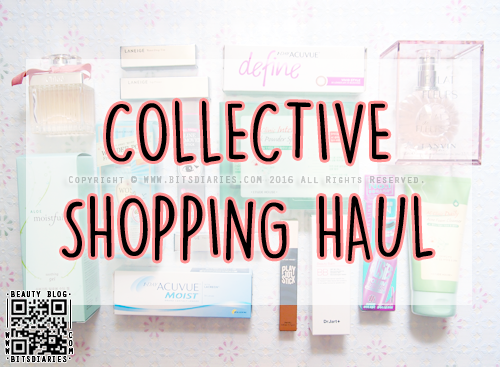 And if you have been following my blog, you might already know that my acne flared up again in October last year. 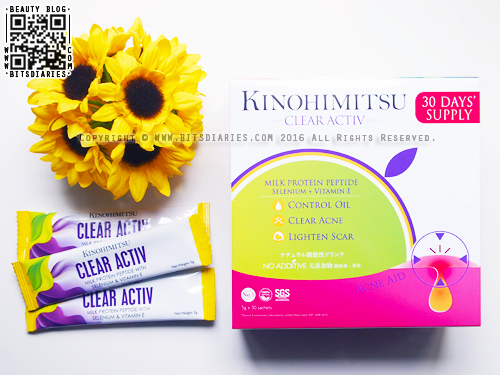 Back then, I chanced upon "Kinohimitsu Clear Activ" and having a positive experience with their eye care supplement — "EyeBright", I decided to give it a try. I know I promised to write a review after I finished the second box, but I decided to try it for a few more months before I write about it. [...] And here's the long-awaited review! Kinohimitsu Clear Activ is a supplement designed to provide internal defence against breakouts and perfectly balance oil secretion, giving the most natural and effective solution to regain your clear and smooth skin. The combination of Milk Protein Peptide, Selenium and Vitamin E supports the body's ability to reduce acne and inflammation. It's been a long while since I last updated this space and I sincerely apologize for the long hiatus, as well as for not replying to email and ask.fm questions that you guys wrote to me. By the way, those who had sent me a message via LINE and have yet to receive a reply, please kindly re-send your message. P/S: I lost all the data (chat history etc. ).